Shares in Seabridge Gold (TSX:SEA) (NYSE:SA) were soaring in pre-market trade in New York after the Canadian company bulked up again its already massive KSM gold-copper-silver project in northern British Columbia in both size and grade. Before the opening, Seabridge stock was already exchanging hands at $10.40, up 4.8% on the New York Stock Exchange, after hiking its estimated inferred gold and copper resources at the Iron Cap deposit — one of four that make up the company's KSM project — by more than 300% each. 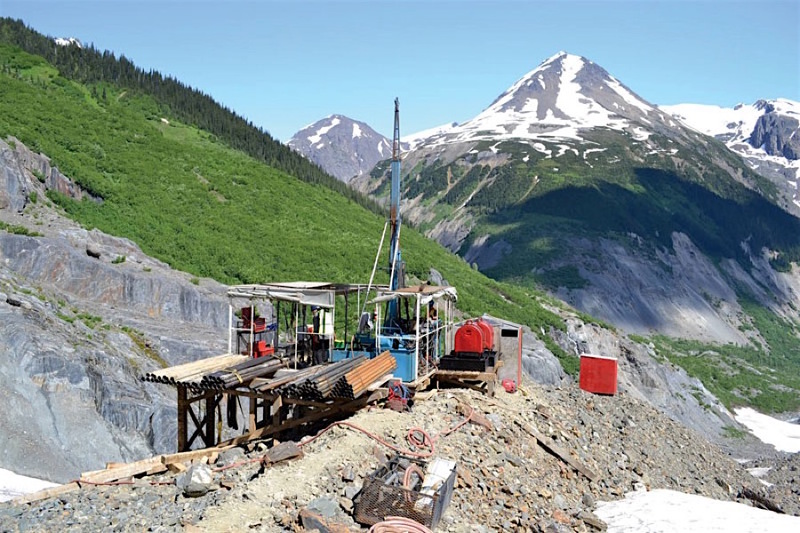 The success of the 2017 drill program at Iron Cap— one of four deposits that make up the company's KSM project — coupled with its proximity to proposed mine infrastructure, has Seabridge considering the potential of mining it sooner than planned. Investors curbed their initial enthusiasm once markets opened, with the miner’s shares trading only slightly up in New York (+0.48% to $10.45) and Toronto (+0.38% to Cdn$13.19 ) at 9:45AM ET. The updated resource assessment shows estimated inferred gold resources have increased 302% to 20 million ounces. Estimated inferred copper resources, in turn, have grown 379% to 8.6 billion pounds. The independent mineral resource estimate for the Iron Cap deposit incorporates all previous drilling plus 10,383 meters of diamond core drilling completed in 11 holes drilled in 2017, the Toronto-based miner said. “All our objectives at Iron Cap were more than accomplished last year. A larger, richer Iron Cap deposit is expected to take a more prominent place in our mine planning, “ the company’s chairman and chief executive said in the statement. “We believe Iron Cap has the potential to make a strong contribution to improving project economics thanks to its higher grade and its favourable capital and operating costs," Fronk noted. Currently, KSM mine plan proposes developing Iron Cap after the Mitchell, Kerr and Sulphurets deposits. Seabridge Gold holds a 100% interest in several North American gold resource projects. But the miner’s key assets are KSM property located near Stewart, B.C, as well as the Courageous Lake gold project — in Canada’s Northwest Territories. The company also owns Iskut, in B.C., which it obtained with the closing of the SnipGold Corp. acquisition, in June, 2016.